It’s Saturday…the beginning of a Week-end…and I have real news to report! Yes!!! It’s a good day! The book is scheduled to be out sometime in October or November (Each site gives a different date). Do you remember Harvey Milk? 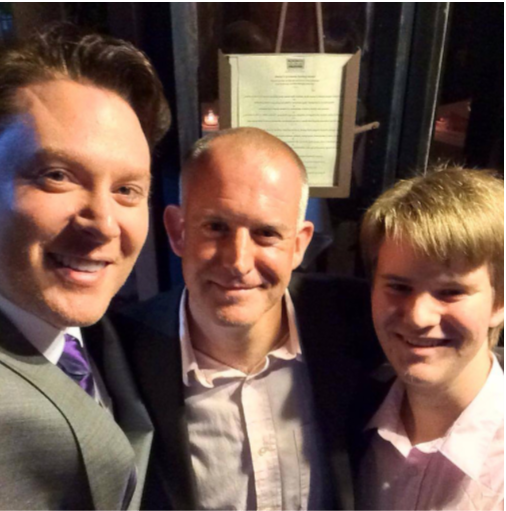 He was an American politician and the first openly gay elected official in the history of California. He was elected to the San Francisco Board of Supervisors. 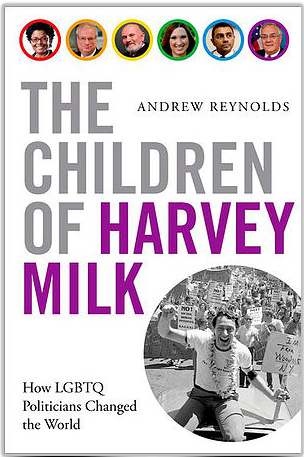 The new book, The Children of Harvey Milk is getting a lot of attention. It already has many pre-ordered books. The Children of Harvey Milk tells the epic stories of courageous men and women around the world who came forward to make their voices heard during the struggle for equal rights. Part political thriller, part meditation on social change, part love story, The Children of Harvey Milk tells the epic stories of courageous men and women around the world who came forward to make their voices heard during the struggle for equal rights. Featuring LGBTQ icons from America to Ireland, Britain to New Zealand; Reynolds documents their successes and failures, heartwarming stories of acceptance and heartbreaking stories of ostracism, demonstrating the ways in which an individual can change the views and voting behaviors of those around them. The author of the book, Andrew Reynolds, has been a Professor of Political Science at the University of North Carolina at Chapel Hill since 2001. 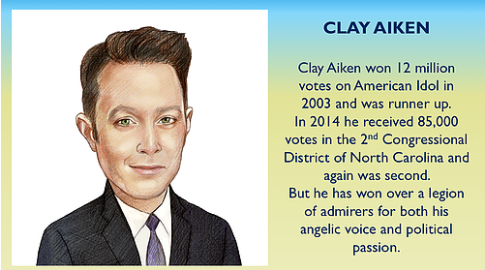 Clay Aiken is one of the featured persons in this book. The following is from the “characters” they have. The website for the book has posted many interesting pictures of the author, Reynolds, with some of the people he wrote about. The following is a picture of Clay in 2014 with the author, Andrew Reynolds. I have enjoyed looking at the information at the website for the book. Everything about the book looks like it will be an exciting read…and I am sure I will learn a lot! Click HERE to read more about this book! I think the following song fits the topic of todays blog! Error: Error validating access token: Session has expired on Tuesday, 21-Aug-18 16:13:01 PDT. The current time is Thursday, 25-Apr-19 20:03:14 PDT.